On 12 April 2017, a new report was published by the World Health Organization (WHO) on behalf of UN-Water – the United Nations inter-agency coordination mechanism for all freshwater-related issues, including sanitation. 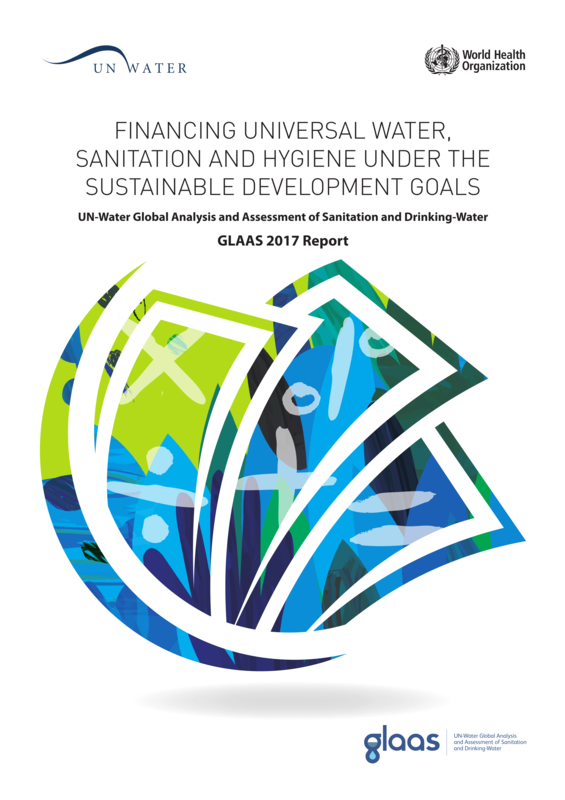 According to the UN-Water Global Analysis and Assessment of Sanitation and Drinking-Water (GLAAS) 2017 report, countries have increased their budgets for water, sanitation and hygiene at an annual average rate of 4.9% over the last three years. Yet, 80% of countries report that water, sanitation and hygiene (WASH) financing is still insufficient to meet nationally-defined targets for WASH services. To meet the SDG global targets, investments in infrastructure need to triple. This increase in WASH budgets will have positive effects not only in the WASH sector, but also in health, including nutrition, education and economic development. 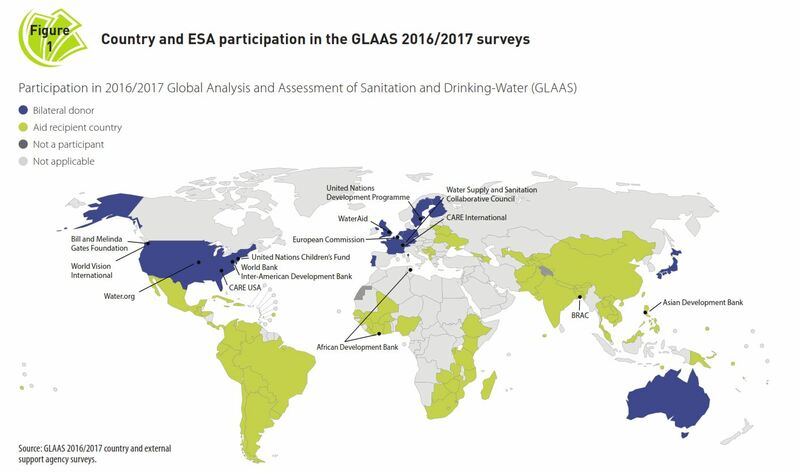 The GLAAS report is a UN-Water initiative led by WHO. GLAAS objectives are defined as: monitoring the inputs (in terms of human resources and finance) and the enabling environment (in terms of laws, plans and policies, institutional and monitoring arrangements), required to sustain and extend WASH systems and services to all, and especially to the most vulnerable population groups. GLAAS does this at both global and regional levels by collecting information at country level and through existing data sources. Margaret Chan, Director-General, World Health Organization and Guy Ryder, Chair, UN Water Director General, International Labour Organisation. In order to meet the SDG global targets, the World Bank estimates investments in infrastructure need to triple to US $114 billion per year – a figure which does not include operating and maintenance costs. While the funding gap is vast, 147 countries have previously demonstrated the ability to mobilize the resources required to meet the Millennium Development Goal target of halving the proportion of people without an improved source of water, and 95 met the corresponding target for sanitation. The much more ambitious SDG targets will require collective, coordinated and innovative efforts to mobilize even higher levels of funding from all sources: taxes, tariffs (payments and labour from households), and transfers from donors. 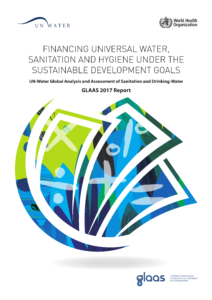 The UN-Water GLAAS report was first presented at Sanitation and Water for All’s High-level meetings on the margins of the IMF – World Bank Group’s Spring Meetings.